Hi everyone. Just a reminder that we are already have way through January. 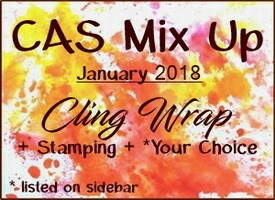 That means there's just over a week to play along with our CAS Mix Up January Challenge - Cling Wrap, being hosted by our talented Design Team member, Nancy Littrell. I used the Faux Mother-of-Pearl technique again today. Check out my video tutorial HERE. This time I used it with a stencil. Taped my stencil over my regular card stock, added the frost paint with a piece of scrunched cling wrap and then let it dry. 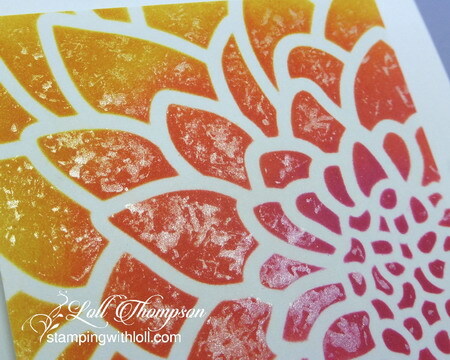 I washed off my stencil and once everything was dry, I placed it back over top and sponged on distress inks. Starting off with the lightest colour on the outside of the flower I used Spiced Marmalade, overlapping slightly with Abandoned Coral as I moved towards the center. I carried the Coral to the very center because I used Picked Raspberry over top and I didn't want the center to be completely pink ... I wanted a bit of orange tone as well. Heated embossed a black sentiment banner with white and attached it to the bottom of my panel. I made a second card with the same technique. This time making a small green faux mother-of-pearl panel for the background and watercolouring a rose (NBUS stamp), which is fussy cut and popped on top. The Faux Mother-of-Pearl finish doesn't show on the full size card photo, so I have included a close-up as well. The flower spray is heat embossed in silver and then watercoloured with distress inks: Shabby Shutters, Peeled Paint, and Abandoned Coral. You can see the shimmer from the frost paint in the photo below. The front of the card above says "dear friend" and inside it says "Happiest of Birthdays to You". 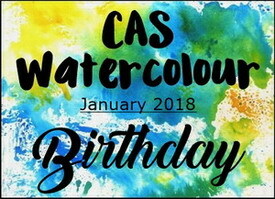 So since it's a birthday card and has watercolouring with the flowers and leaves, I'm also adding this to CAS Watercolour January Challenge - Birthday. I hope you'll come play along with us at CAS Mix Up. Check out the challenge blog to see the reminder cards from our wonderful Guest Designer Christine, and the rest of the Design Team. There's a few techniques that you can use with cling wrap that are so fun. Hope to see you in the gallery! Your FMOP backgrounds are so pretty, my friend! 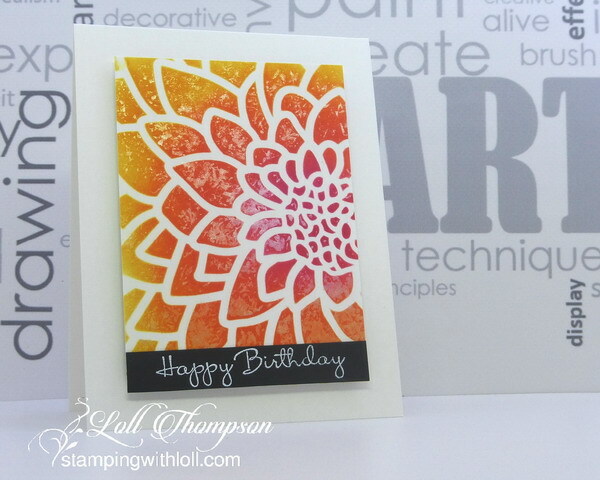 I love how you've used this technique with a stencil! And the sold green is so pretty with the watercolor flower! 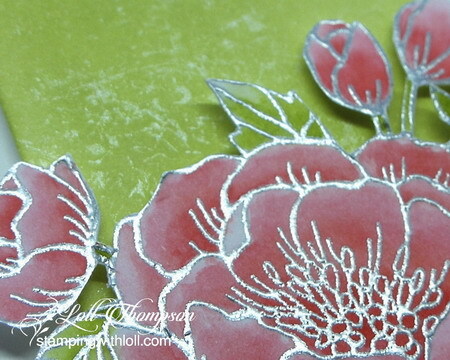 I love how the embossing on the flower shines like the frost paint in the background. Very elegant! What beautiful cards! Such a pretty technique! Love your pretty FMOP background (thanks for close up) for your beautifully colored and fussy cut flowers too. both cards are gorgeous Loll, I love the subtle shimmer you created from the Faux Mother of Pearl. 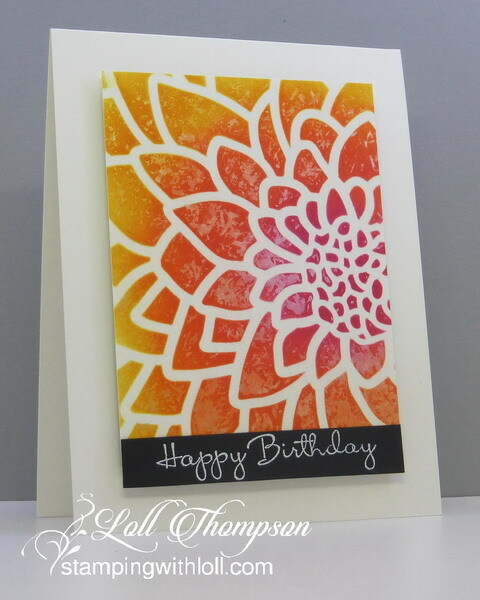 So clever using the stencil, your colour shading is awesome and your fussy cutting on your second card is out of this world. WOW! What fabulous card, Loll! The first one is glorious with your faux mother of pearl technique! Love that yosu can emboss with white on black and never get so much as a speck of white powder residue on it. The second one- water colored to perfection and your fussy cutting is just amazing, especially since you never manage to cut into the embossed edging. Beautifully done. Beautiful faux mother-of-pearl on both cards. I've never thought of doing it through a stencil - great idea that I must try. 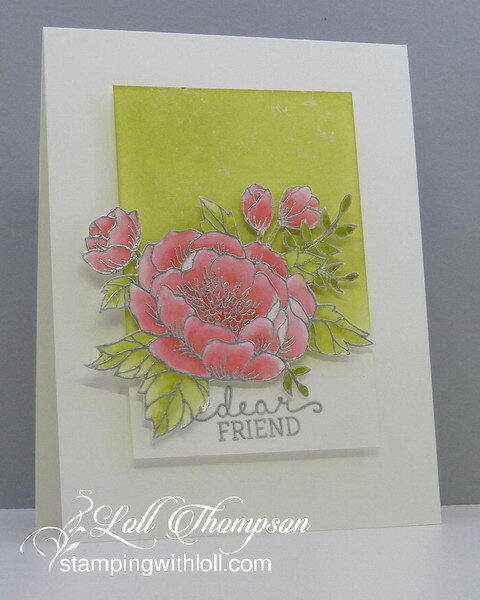 Love that wonderfully watercoloured rose on the second card! Thanks to the close-up photos, I can really see the beautiful shimmer of the faux mother-of-pearl effect. Both cards are gorgeous, Loll! Lovely cards, Loll. Both look amazing with the faux mother of pearl technique. It looks wonderful peeking through the stencil outline. The colors are so vibrant! The second card background is beautiful with the lovely flowers in front. Wonderful work on both! Hoping to find time to join in with this Loll... bought another roll of cling wrap this morning!! Two stunning beauties, Loll. Love the shimmer from this fun technique. I really need to try this again. Love these. Faux MOP through a stencil... what a brilliant idea! How do you come up with those? I absolutely adore this card! From the technique to the colors, it's perfect! The second card is also pretty with the MOP panel and that sweet flower! Such gorgeous shine with both the MOP and silver embossing, Loll. Both cards are so beautiful I want to look at them again and again.